On March 18th (2016) I had the privilege of listing this Wynterhall floor plan by NV Homes, located at 9713 Lennice Way. We hit the market at $580,000. One of the great things about being known as a Braemar Real Estate Agent is that local agents will call me to see what I have coming up when they have a buyer looking for something in the neighborhood. That was the case with this home. Before it ever came on the market, we had a showing by buyers looking for a larger, four bedroom home in Braemar on a wooded lot. After the sneak peek, they wrote an offer, but it wasn’t strong enough to make my Seller forego the open market and see what else it would bring him. Of course, the reason the offer may not have been so strong an offer was the home wasn’t quite show ready, but it sure was when it listed. What happened next is that after only two days on the market, he had a full price offer from a Buyer that had to have the home. Unfortunately, during the home inspection those buyers decided this wasn’t the home for them, even when the Seller said he would fix the issues found. And despite those first buyers voiding their contract, the Seller fixed the defects uncovered by that first home inspection. 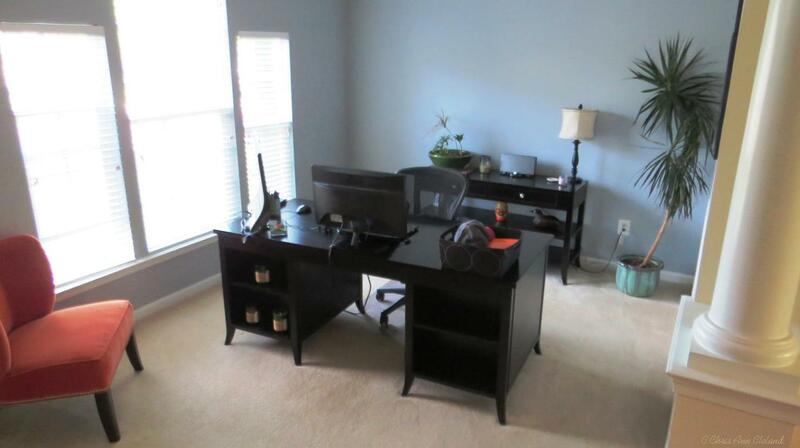 During the time repairs were being made, we took the home temporarily off the market. And with nothing left to lose, I went back to the very first Buyer’s Agent who had brought the sneak peek Buyers. Were they feeling enough regret to make a better offer? The answer was yes. 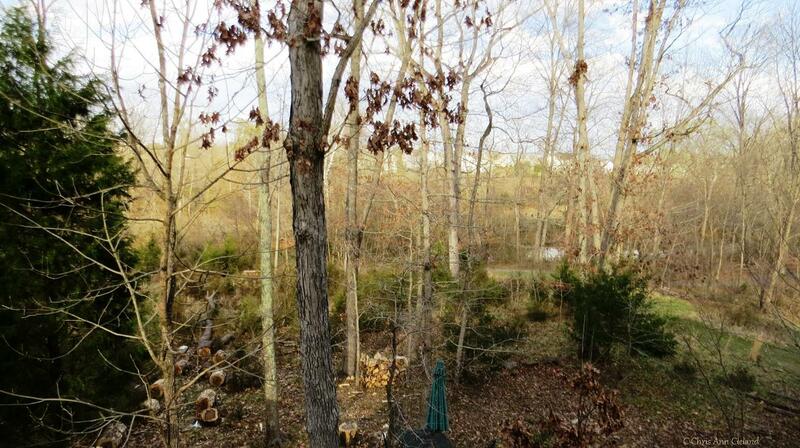 There were other great homes on the market, but none on a lot this secluded. They wrote an offer nearly identical to the first contract and my Seller accepted. And this second home inspection, thanks to the repairs done as a result of the first, was uneventful. A couple minor cosmetic repairs were made and the parties went to settlement. 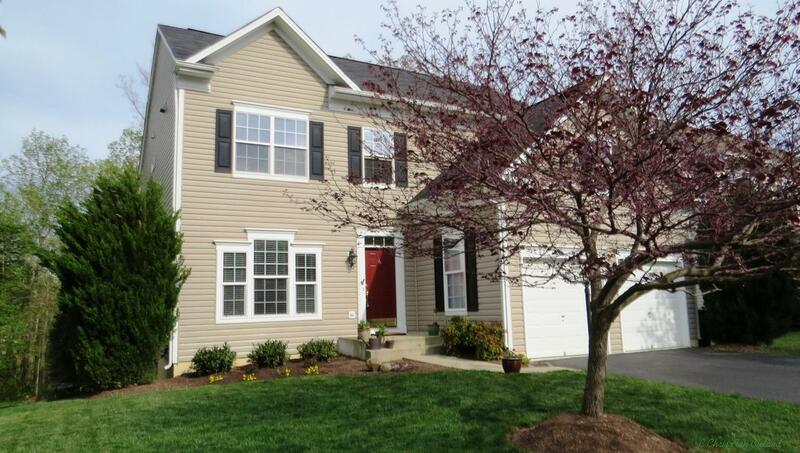 On April 29th this five bedroom home on a wooded lot backing to Broad Run sold for $580,000. When you are ready to sell your Braemar home, give me a call. I’ll put my neighborhood knowledge, marketing expertise and problem solving skills to work for you. No One Knows Braemar Better! One of the most popular single family floor plans in Braemar is the Yardley by Brookfield Homes. The combination of open information spaces and formal living and dining rooms off set from each other give this colonial inspired floor plan, a modern twist. 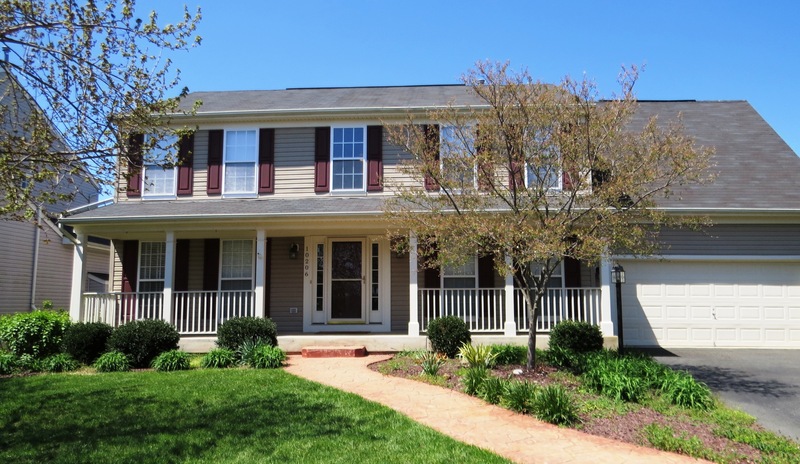 This particular Yardley is located at 10140 Broadsword Drive and is priced at $469.400. 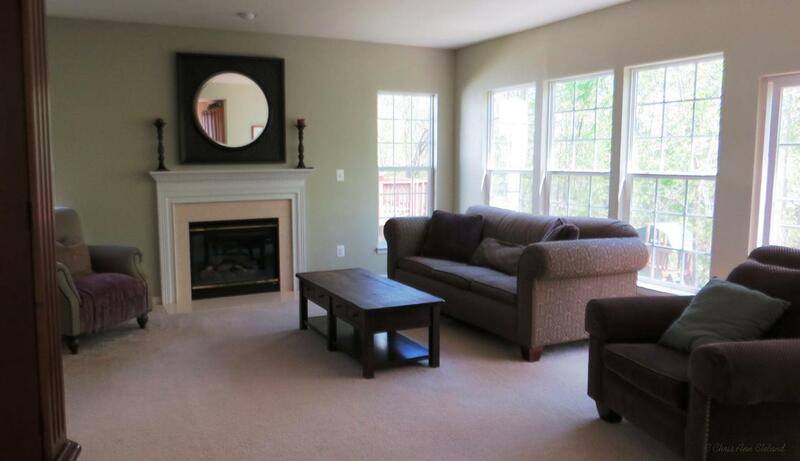 Inside you find all the highlights that make the Yardley such a friendly floor plan. The formal living room sits to the left of the foyer entry. 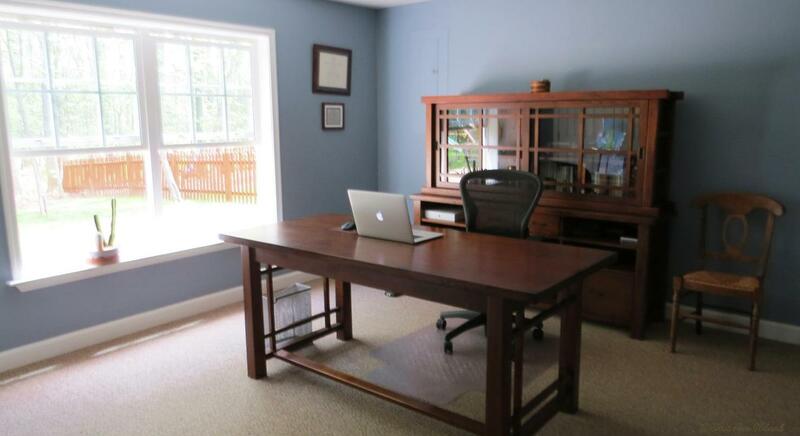 This one is in use as a home office. 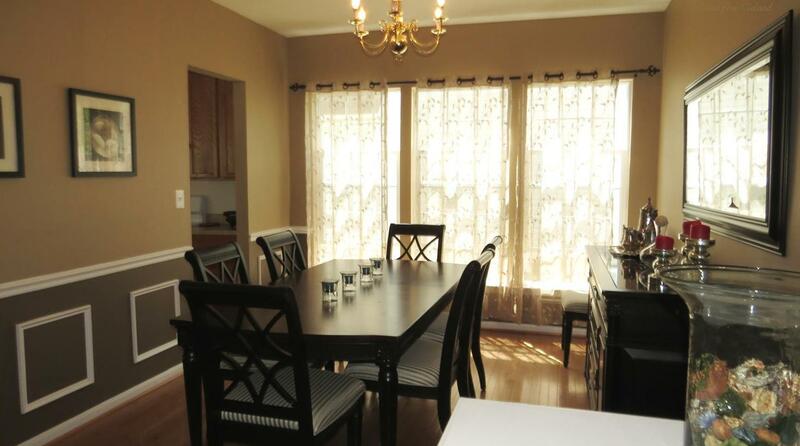 Formal dining room is situation right beside the kitchen, for easy entertaining. The kitchen is my favorite space, and this one benefits from an extension along the entire back of the home. The corner window gives you a view from the kitchen sink. 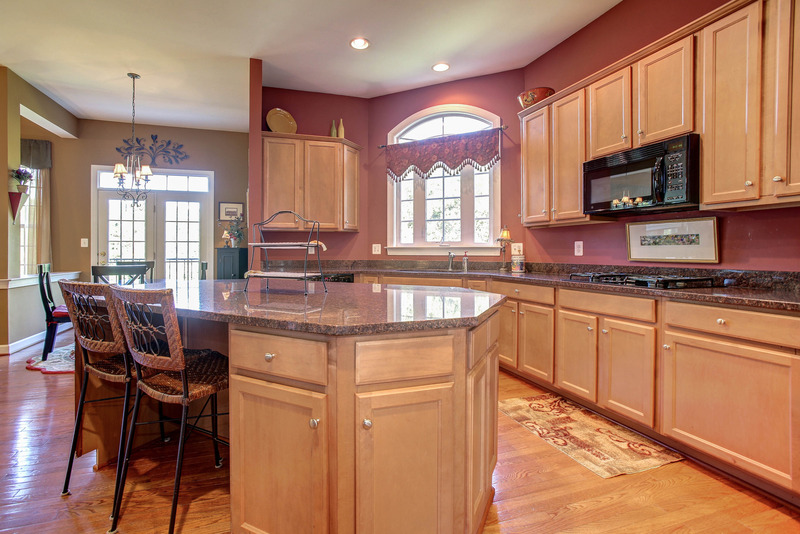 And the cook in the family will love the amount of counter space, which includes a center island. Quick every day meals can be enjoyed in the breakfast nook. 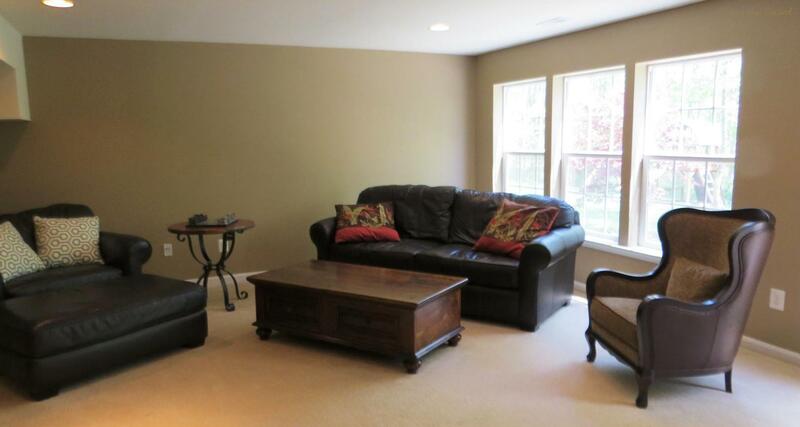 The family room is open to the kitchen/breakfast nook area and gives more than enough space. And the wall of windows gives plenty of natural light. In the colder months, enjoy the gas fireplace. 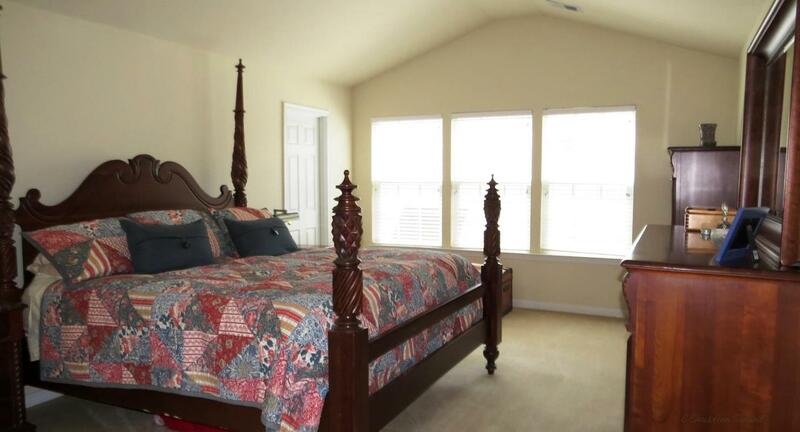 Upstairs you find four bedrooms, including the master suite with a cathedral ceiling. 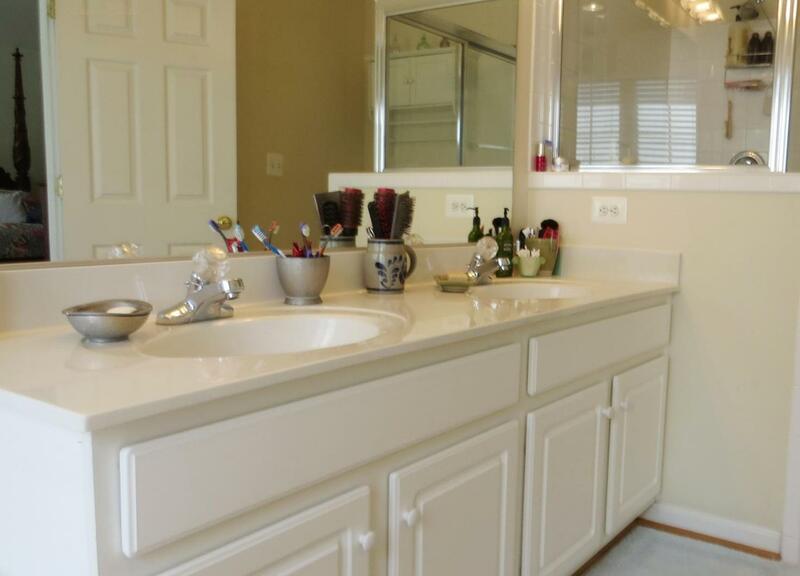 Here there are two walk-in closets and in the attached bathroom, dual sinks/vanity, soaking tub and separate shower. The remaining bedrooms are good sized rooms, especially the fourth bedroom which rivals the master suite in terms of room size. 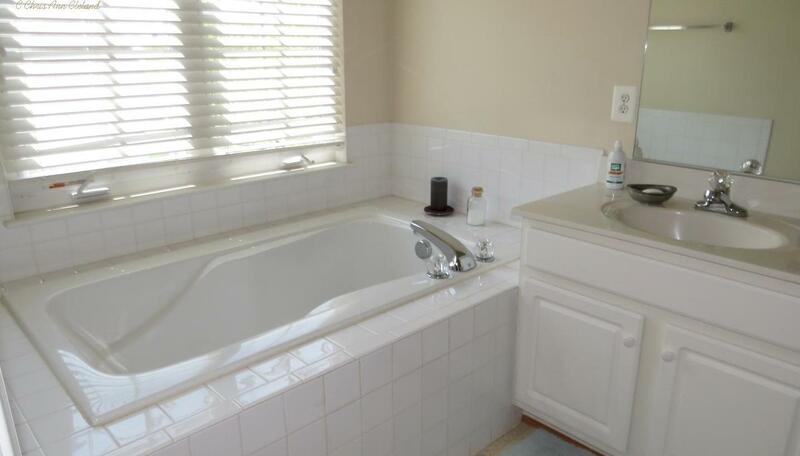 Second full bathroom serves all remaining upper level bedrooms. Basement is fully finished and where you find the laundry area. You also have a large recreation space with huge windows, thanks to the walkout level exit. An additional finished room could be used as a fifth bedroom and sits next door to one of the most beautiful basement bathrooms you will ever see. 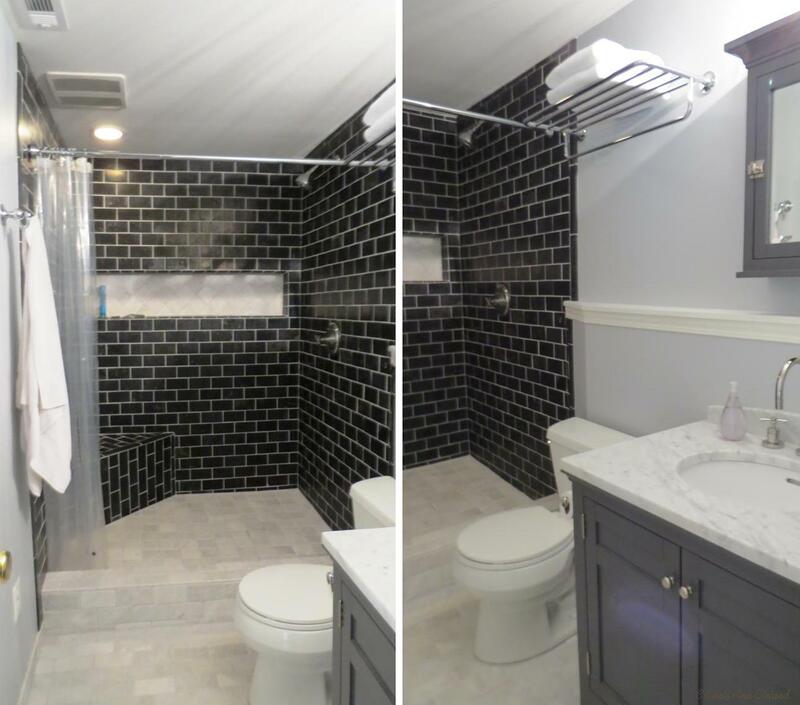 It is finished in tones of black, gray and white and has a very modern, spa-like feel. One of the things that make this location great is that the home backs to trees. Here, it is not at all unusual to see deer in the early morning or at twilight. 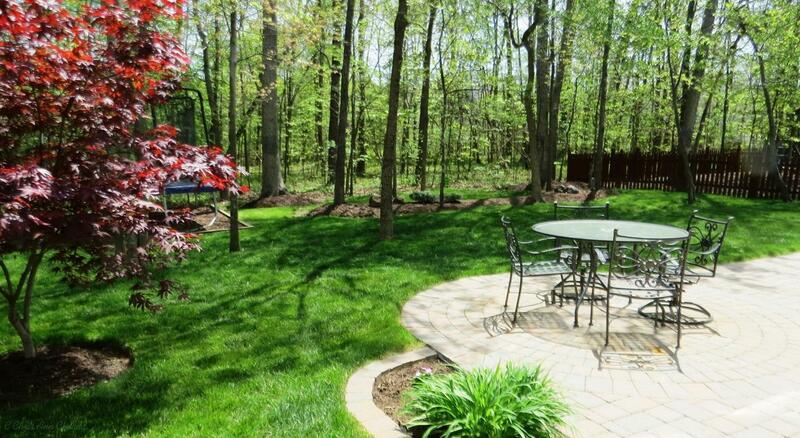 You can enjoy the peace and quiet of suburbia in your back yard on the patio. Think this may be the home for you? Give me a call for a tour. No One Knows Braemar Better! The beginning of the year was filled with all kinds of real estate sales activity in Braemar. The spring selling season seemed to hit even before our last snow melted. This particular report will look back at the first quarter of sales for the Reflection Series homes. For those unaware, Reflection Series homes are located off of Tarvie Circle and are the semi-detached single family homes that are attached at the garage only. There were two floor plans offered byBrookfield Homes: Annan and Bromley. Unlike the end of 2015 that saw only one sale, the beginning of 2016 saw two Reflection Series home sales in Braemar. The high sales price was $425,000 and the low was $420,000. The average of $422,500 is our new average market value for Reflection Series homes. This marks an 11% increase in value since last year. And because there were no sales this time last year, we have no comparison to last report. If you placed your Braemar Reflection Series home on the market, priced to current conditions, you could expect it to be under contract in an average of just under one month. You could expect to pay a little toward the buyer’s closing costs. The next Braemar Reflection Series Quarterly will be in July and will focus on activity during the second quarter of the 2016. Until then, when you are ready to sell your Braemar home, give me all call for a free market analysis. No One Knows Braemar Better! It is time for another Braemar Piggyback and Patio Quarterly, giving an overview of home sales for the first quarter. For clarification, Braemar Piggyback Townhouses are attached side-to-side and back-to-back. 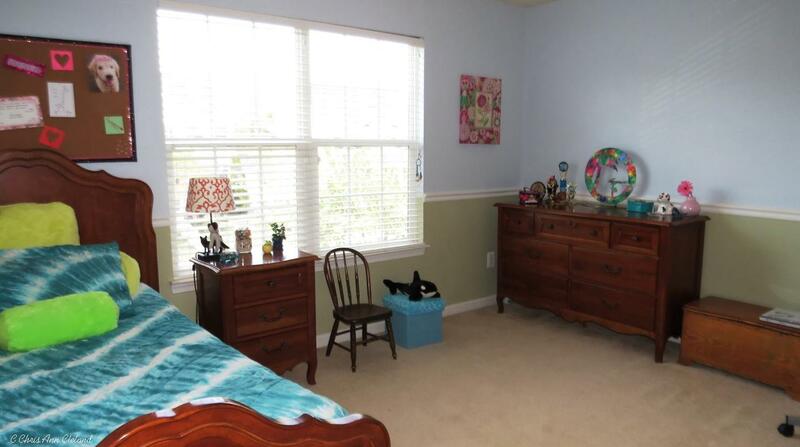 While they do not offer back yards, they offer large bedrooms and a two car garage. Braemar Patio Homes are also known as quads. Each is attached at the side, back and corner to another Patio Home. 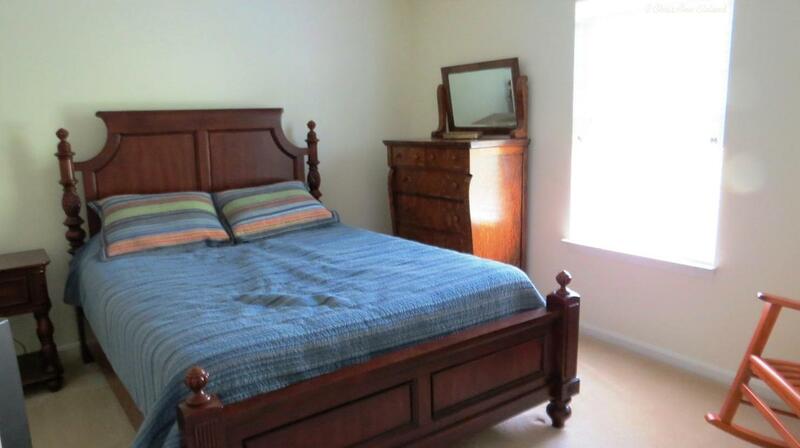 They have two levels, also offering large bedrooms and a modest side yard. 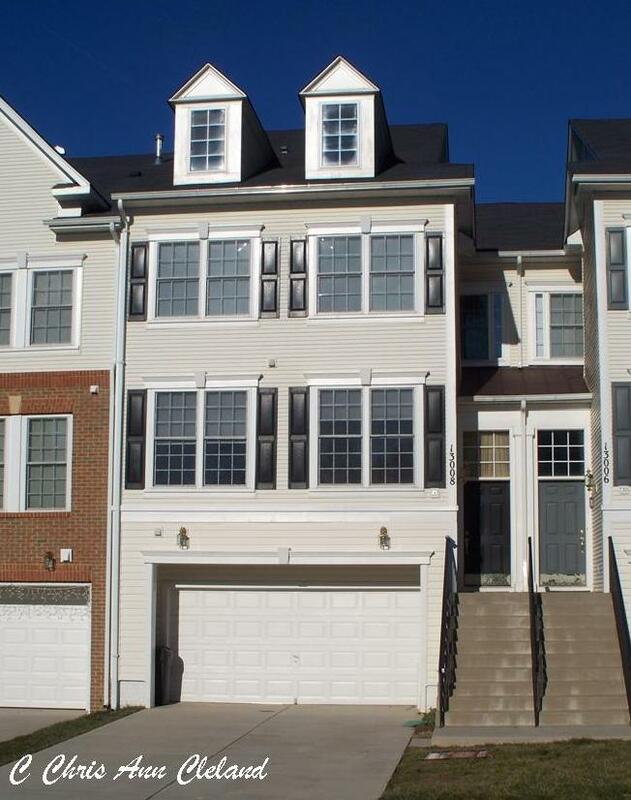 There were two Piggyback townhouses that sold between January and March. The high sales price was $288,000, while the low was $282,900. That means a decrease in average market value of not even 1/2 of 1% since last report. The difference compared to last year is an increase of 23% in average market value. That’s not to say your Piggyback townhouse in Braemar went up 23% in value since last year. Last year’s one sale was what I would call an outlier. 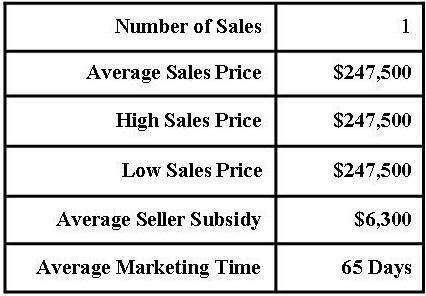 It was such a low value that it does not compare to other sales. 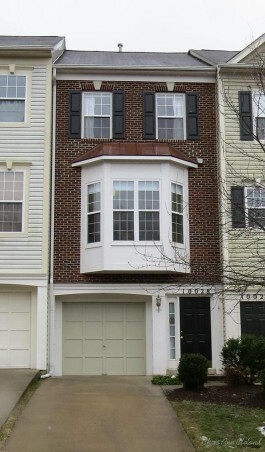 The comparison to last report is more an indicator of the stability of Piggyback townhouse values. If you placed your Braemar Piggyback townhouse on the market, priced to current conditions, this report does indicate that your home would be under contract in an average of just over two months. You could also expect to pay an average of 3% of the sales price in closing cost help to the buyer. With three sales of Patio homes in the first quarter, we had what I would call a decent amount of activity. That’s unlike the fourth quarter last year where we had one sale, or the first quarter of 2015 where we had no sales. High sales price was $300,000 and the low sales price was $295,000. 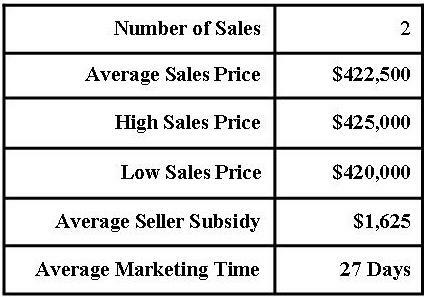 The average sales price of $298,167 is a decrease in value of 2% since last report. Again, there is no comparison to last year, as there were no sales in the first quarter of 2015. If you placed your Braemar Patio home on the market, priced to current conditions, you could expect it to be under contract in an average of just over two months. You could also expect to pay an average of 1/10th of 1% of the sales price in closing cost help to the buyer. That’s hardly anything. Buyers for Braemar Patio homes are being very competitive right now and not asking for much in closing cost help. The next Braemar Piggyback & Patio Quarterly will cover the second quarter of 2016 and will be out in July. Until then, when you are ready to sell your Braemar home, call me for a free market analysis. No One Knows Braemar Better! The first quarter of 2016 is behind us, which means it is time to look back at the first three months of the year and see what happened to Braemar Condo values. If you weren’t aware the Braemar had condos, we do. They look like townhouses. Some have garages, others do not. “Condo” simply refers to the type of ownership, which is far different from any other type of home in the community. For instance, the physical structure of a condo is insured by the condo association, not a personal home owner’s insurance policy. You know you live in a Braemar condo if you pay condo fees to Barrhill at Inverness Village. An easier way for folks who would like to be certain when they are looking at a Braemar condo is to identify them by where they are located. Braemar condos are only found on the following streets: Caithness Circle, Moxleys Ford Lane, Lord Lovat Way and Heykens Lane. Unfortunately, there was only one Braemar condo that sold in the first quarter of 2016. It listed for $250,000 and sold for $247,500. If we compared that value to the average value last report, we see a 2% decrease in value. 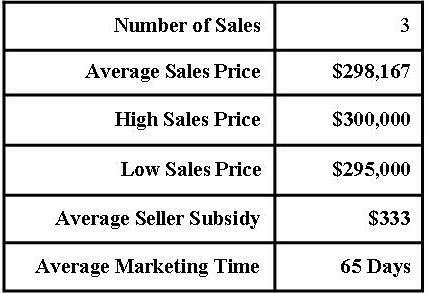 However if compare to the low sales price from last report, we see an increase of 1%. comparing to last year’s report we still see only one sale and that one was a little more in value–$249,900. That would be a decrease of 1% in value over one year if all things were equal in those condos. For now, I think it is safe to say that Braemar condo values are stable. If you placed your Braemar condo on the market now, priced to current conditions, this sale from the first quarter indicates that you could expect it to be under contract in just over two months. Considering at the time of this report there are three Braemar condos under contract with an average marketing time of 85 days, that would be great. The reported sale in this report also suggests that you could expect to give 2.5% of the sales price in closing cost help to your buyer. The next Braemar Condo Quarterly will be out in July and should have quite a few sales to report. Until then, when you are ready to sell your Braemar condo, give me a call for a free market analysis. No One Knows Braemar Better! 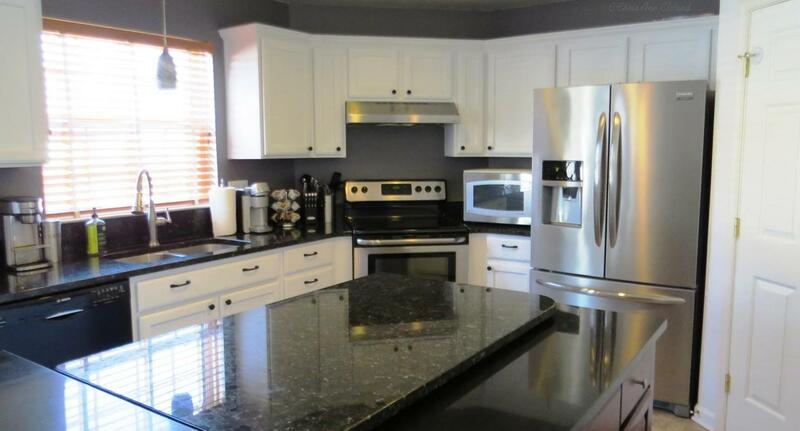 It isn’t often that you come across, what I call, a true five bedroom home in Braemar. To me, a true five bedroom home has five bedrooms on the second level. 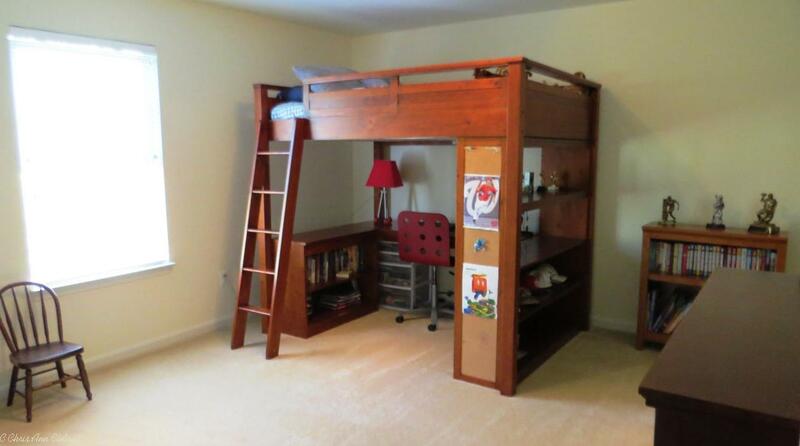 The fifth bedroom is not a loft or in the basement. 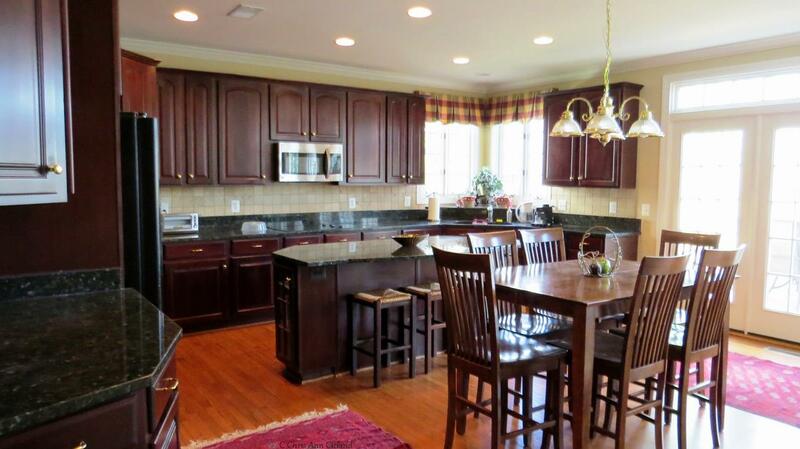 This five bedroom Bainbridge model in Braemar listed on February 1st (2016) for $430,000. It was located at 10206 Moss Tower Place. You may think that is a low list price, but consider this: it had an unfinished basement with no exit and standard finishes, except for the kitchen which had granite counters. It also had a lot that backed to Sudley Manor Drive. 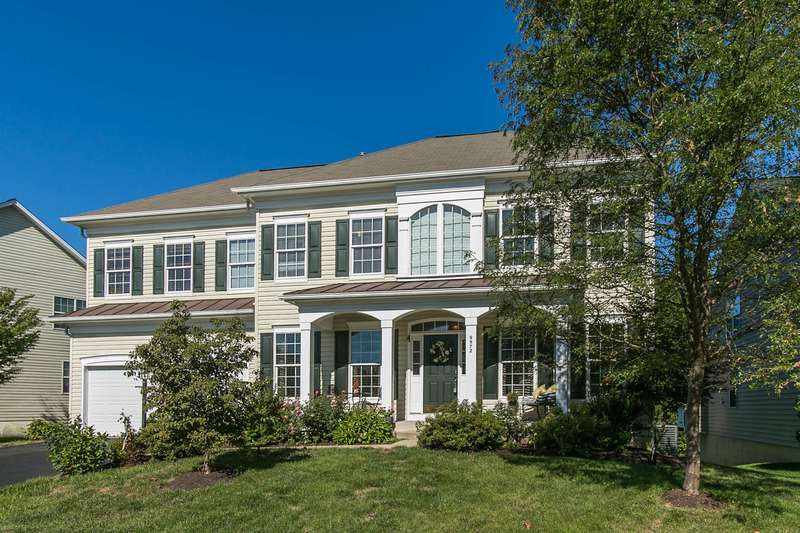 After seven days on the market and multiple offers, this five bedroom Braemar home went under contract. There was little to worry about with no financing contingency involved, which made the deal even more attractive to the sellers. 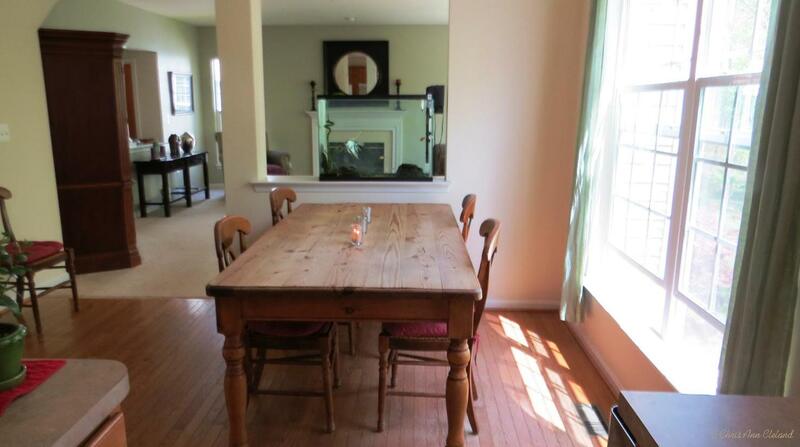 On April 15th, this five bedroom home in Braemar sold for $428,500. When you are ready to list your Braemar single family home, call me for a free market analysis. No One Knows Braemar Better! On January 15th (2016,) I had the pleasure of listing 9572 Laurencekirk Place in Braemar. The home had been previously listed for eighty-one days with no offers. We kept the last list price of the former listing of $549.900. Before the listing ever hit the market, as often happens with my Braemar listings, I received a call from a local Buyer’s Agent who had a client looking for a large single family in the neighborhood. She knew I carried a lot of inventory in the neighborhood and was pleased when I told her about this one. Though showing did result in an offer, it wasn’t an offer that made the Sellers want to skip marketing the home. 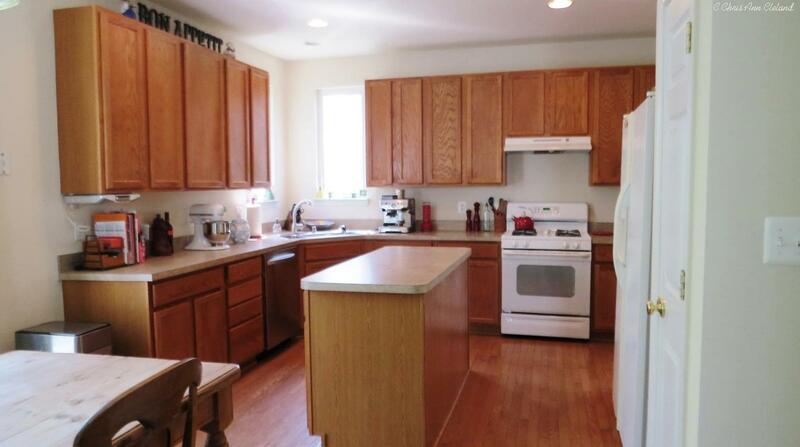 After only twenty days on the market with me, this home had two more offers, competing to win the home. A deal was struck with one of the buyers on February 3rd. 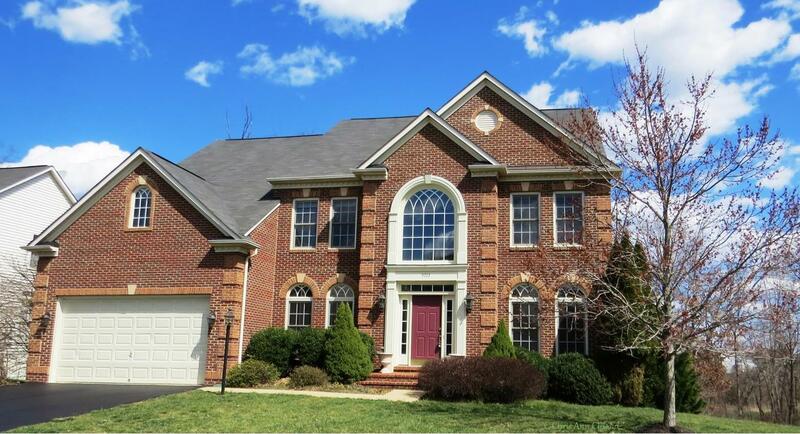 On April 7th, it closed for $541,000. 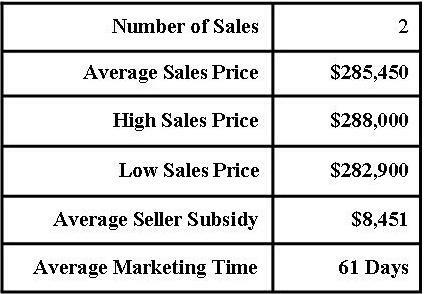 That final sales price was higher than either buyer had been willing to offer in initially in that competitive situation. 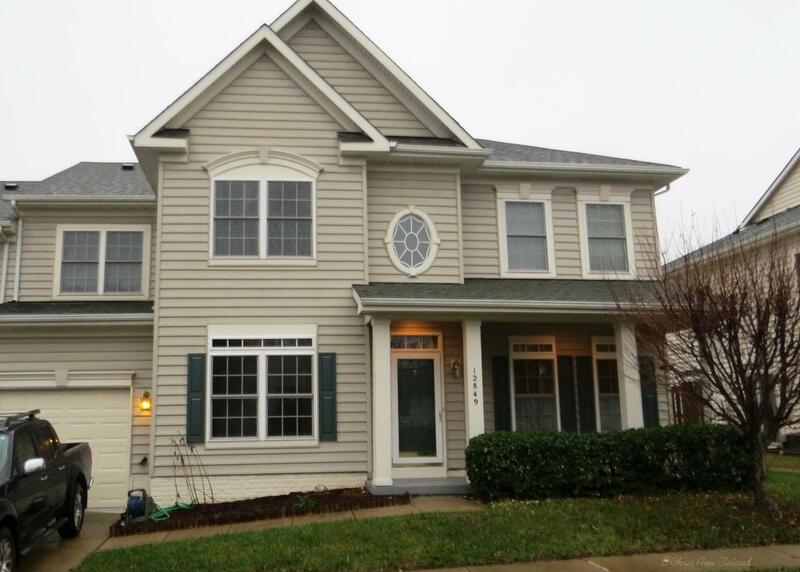 The market had spoken loud and clear that $549,900 was just too high for the home. So the sellers made a counter offer and struck a deal while they could. The timing was perfect for them to pick up their dream home, which was still on the market. When you are ready to sell your Braemar home and move up or downsize, give me a call. No One Knows Braemar Better!